Give any drink some character with these Mini Milk Bottle Drinking Glasses! Featuring a blue "Mr. Tap" design. 2-pack for twice the fun! 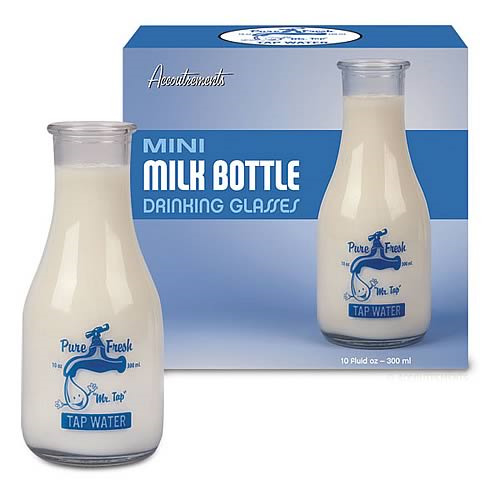 Give any drink some character, with these Mini Milk Bottle Drinking Glasses! Featuring a blue "Mr. Tap" design, these 10oz glasses stand 6 1/4-inches tall, and come in a 2-pack...for twice the fun! Order yours today!